A car repair estimate details the approximate cost of all parts, materials, and labor required to return your vehicle to its pre-accident condition. Your insurance company will likely recommend a repair shop that they frequently work with and consider to be approved or in-network. While you may choose to use this shop, the choice is ultimately up to you. 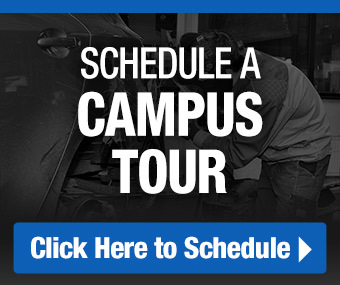 Check out these tips for locating a repair shop near you and getting a fair repair estimate brought to you by Automotive Training Center (ATC). You’ll want to find a shop near you that follows industry procedures and standards, employs skilled and certified technicians, and utilizes modern equipment to make repairs. The Inter-Industry Conference on Auto Collision Repair (I-CAR®) heads the collision repair industry, offering training and education to professional technicians and repair facilities. The prestige and professionalism that comes with earning Gold-level certification from I-CAR® assures that the facility has gone above and beyond the required training for providing quality collision repair work. An I-CAR® Gold shop is recognized for offering high-quality repairs and repair estimates utilizing the most up-to-date technology and procedures. Learn more about I-CAR® here. Consider using a dealership for your repair. Dealerships provide consistent and current training to their repair technicians. In addition, the technicians and painters will know your vehicle make and model better than anyone else. They work on them every day, whereas other shops may have more limited experience with your specific vehicle. When you’re in shops getting estimates, ask to see the cars that have been repaired and are ready for delivery. Look for any red flags: Does the color match? Are the door gaps the same on both sides? Look down the side of the car for imperfections such as unevenness. Different factors such as the cost of labor, size of the shop, and equipment available impact the cost estimate you receive. By seeing multiple estimates, you can make a line-by-line comparison between the proposed service from each provider. Don’t be shy to ask why, for example, this shop plans on repairing the hood when another plans on replacing it. Generally, an estimator will always want to show that they are better than a competitor. Hopefully these tips will be useful in evaluating which repair shop is right for you. At Automotive Training Center (ATC), we train driven students with a passion for auto body work on the ins and outs of automotive collision repair processes and procedures. We understand the crucial role that communicating with the customer plays in the post-accident process and train our Collision Reconditioning Technology students on how to accurately estimate costs for damage repair. Thanks to an alliance with the Auto Dealers Association of Greater Philadelphia (ADAGP), our Collision Reconditioning Technology graduates are eligible for entry-level employment at collision centers across the Greater Philadelphia region, as well as several privately owned local repair shops. ATC students learn from seasoned instructors who are certified by both the National Institute for Automotive Service Excellence (ASE) and I-CAR®, ensuring they are up to speed on the latest best practices in collision repair. If you need repairs for your vehicle in southeastern Pennsylvania, view a full list of the employers that hire ATC graduates today.